Today is the day! The 2% Rule To Get Debt Free Fast is Released! Join the Party and Join the Club! The day our family has worked hard and sacrificed for is finally here. Today is the day that our story, our message of hope, the encouragement and the digestible, step-by-step guide is available for everyone to rock this get out of debt thing! It is the day our book is released to the public! The 2% Rule To Get Debt Free Fast is here! But we share those gory details because we have found that life is an interesting adventure. Some people will listen just by giving ideas and suggestions. But others have to know exactly “why” should I listen to you? In this case, it seems odd to listen to a couple that got so far in consumer debt so fast that is seems like only an idiot would listen to someone who started off wrong and did everything wrong from the beginning. But that is the beauty of it friends. 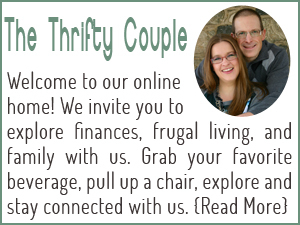 We came out of a situation in which we were in over $108k of consumer debt. We know how we got into the debt. We tried to get out the best ways that the experts have said – and we failed, paying off just $15K in three years. But many of these experts were always money smart. Not connected with reality for a young couple who hadn’t been money smart. A young couple who did everything wrong. We needed someone to understand us and to help us because they had first-hand experience. When we started paying off that $108k of debt, we were not in a great situation. We had a salary of $55K to work with, but we had $108k of debts, with most of our bills, including the debts and the monthly living bills (utilities, etc.) being 60, 90, 120 days late. We barely avoided bankruptcy and we were paying $1,200 a month JUST IN INTEREST. This was $400 more than our monthly housing costs. It took one paycheck per month to just pay the interest. After the taxes, medicare, social security and benefits, the paychecks were $1,230. 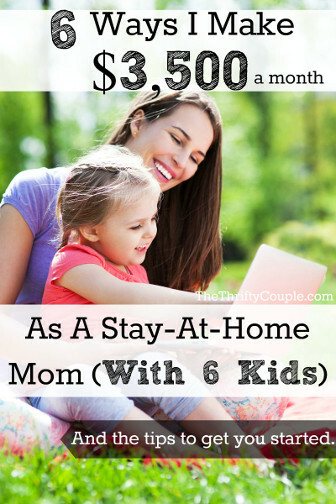 No principal balance, no living expenses, no housing costs, no groceries, etc. It took one full paycheck just to pay our interest. That means we had about one paycheck a month to live off of. Have you ever lived off of $1,200 a month while still having $108K of consumer debts to pay off? It’s hard. It’s beyond hard. It seems impossible. I don’t think we could have been in a worse financial situation. The only thing I can think is that if Alex lost his job and we were out just ONE $1,200 paycheck, I shudder at the thought of what would have happened. During this very low financial point, the only hope was that Alex did have a job and a steady paycheck coming. We probably would have both been finding side hustles and jobs and working 80-100 a week each for a time to make it up! But at least we did have that reliable paycheck. At the end of the day, we came out of this mess, came out ahead and building financial freedom at a rate we couldn’t have ever dreamed of happening, unless we had won the lottery. We didn’t use credit counseling services. We paid it off all on our own after trying other methods, but we needed something that would not be a temporary fix – not a “sacrifice and slash” and all is well (because it doesn’t change the heart of the problem), but we needed something we could ease into and something that would be effective. 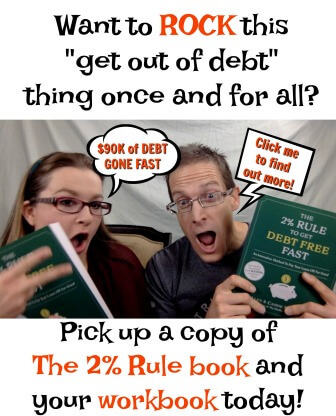 And here it is friends – The 2% Rule To Get Debt Free Fast! You can order it online or find it in your local Barnes and Noble. You can also order a copy of our workbook that accompanies the book, providing the tools and resources to help you through your debt payoff status. The 2% Rule To Get Debt Free Fast Workbook available to order soon! Now here’s where the really fun stuff comes in! 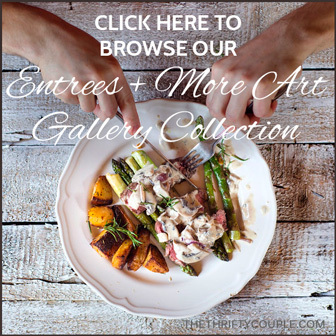 We want to be reachable and accessible for you, so we want you to have as much success as you can. So, if you have purchased the book, when you get it, take a picture of yourself and share it on Facebook, Twitter and Instagram with the hashtag #2percentruleclub. We also want you to join our private Facebook group HERE that is BRAND NEW as of today – a place to ask questions, get advice and tips and encouragement in your journey from us and from anyone else going along for the ride! We can’t wait to join you on this journey and to help you succeed in reaching your financial goals! The crazy, beautiful thing is that you don’t have to be in the lowest of financial places for this rule to work, in fact, it will work faster and better as you are starting in a better place! « Less Than Three Days Left: Have You Claimed Your FREE Workbook Yet? Have followed your blog for a while. Just wanted to post to let you know your Facebook group is public and all posts are public.